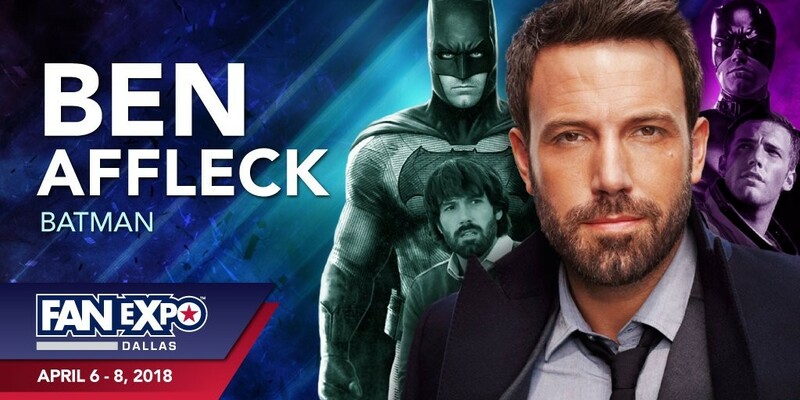 FAN EXPO Dallas is set for April 6-8 at the Dallas Convention Center and while the list of celebrities attending was already stellar, the weekend was elevated to an entirely new level with the announcement that Academy Award winner Ben Affleck has been added to Saturday’s festivities. Ben Affleck will be live on stage in the Main Theatre at 7 pm on Saturday. Special tickets and Photo ops will be on sale Tuesday April 3 at 10 AM – quantities are limited and will sell out! Celebrities also scheduled to appear at Fan Expo Dallas 2018 include Chuck Norris, Lea Thompson, Christopher Lloyd, Jeff Goldblum, Val Kilmer, Richard Dean Anderson, Cary Elwes, Paul Reubens and Billy Dee Williams. For the full list of Fan Expo Dallas 2018 celebrities, visit HERE. For further details and to get tickets to Fan Expo Dallas 2018, visit HERE.